The Signal Processing and Speech Communication Lab (SPSC) of Graz University of Technology, Austria, is seeking to fill two PhD positions in the area of wireless communications and positioning between March and July 2019. Congratulations to Florian Muralter on receiving the DEGA-Studienpreis for his Masterthesis 'Analysis tool for multiexponential energy decay curves in room acoustics'. The thesis was supervised by Jamilla Balint. After a brief overview, demos and detailed information will be available together with Pizza and Beer. The Signal Processing and Speech Communication Lab (SPSC) of Graz University of Technology, Austria, is seeking to fill 2 - 3 PhD position in the area of wireless communications and positioning between July and Dec. 2018. The Christian Doppler Laboratory for Location-aware Electronic Systems has been officially inagurated in an opening ceremony held on April 25th, 2018. The lab will be headed by Klaus Witrisal to conduct application-oriented basic research over a period of seven years. The SPSC has a job opening for a student project assistant to be filled as soon as possible until Late Summer 2018. In a research project, we are working on an automatic evaluation tool for texts in different language levels, given several test criteria give by linguists. The Signal Processing and Speech Communication Lab (SPSC) of Graz University of Technology, Austria, is seeking to fill 2 - 3 PhD position in the area of wireless communications and positioning between April and Dec. 2018. The SPSC has a job opening for a student project assistant to be filled as soon as possible until June 2018. In the project 'HumanEVoice' we are working on a natural voice for people without a larynx. We have developed a demonstator system in MATLAB that we want to port on a mobile device. This could be either a single board computer (like the Raspberry Pi) or an Android smart phone. The demo entitled "UWB-based Single-anchor Low-cost Indoor Localization System" presented by Bernhard Grosswindhager and Michael Rath at the 15th ACM International Conference on Embedded Networked Sensor Systems (SenSys) won the best demo award. The SPSC Lab members Harald Enzinger and Karl Freiberger have reached the first place in the student design competition Power Amplifier Linearization through Digital Predistortion, held at the International Microwave Symposium in Honolulu, Hawaii on 06.06.2017. Read "Impact of Phase Estimation on Single-Channel Speech Separation Based on Time-Frequency Masking" in the Journal of the Acoustical Society of America! Florian Mayer, Donald Williamson, Pejman Mowlaee, Deliang Wang have puplished their paper "Impact of Phase Estimation on Single-Channel Speech Separation Based on Time-Frequency Masking " in Journal of Acoustical Society of America", vol. 141, no. We are glad to announce that Lab-member Erik Leitinger just received the Erwin Schrödinger fellowship. We are happy to announce that Lab member Hannes Pessentheiner has finished his thesis with the title 'Localization, Characterization, and Tracking of Harmonic Sources: With Applications to Speech Signal Processing', successfully mastered his defense and received the doctoral degree. Congratulations! The Signal Processing and Speech Communication Lab (SPSC) of Graz University of Technology is seeking to fill a PhD position in the area of wireless communications and indoor positioning. The PhD candidate will work on the problem of radio-based indoor positioning, where multipath propagation and non-line-of-sight situations severely impair accuracy and robustness. The work will combine aspects of wireless communications (such as the properties of the indoor propagation channels), (statistical) signal processing, cognitive dynamic systems, and machine learning. The current issue of TU Graz research (2016-2) features our project HumanEVoice. Lab member Anna Katharina Fuchs finished the modular course "Gender: intersektional & diverse" and received a certificate for gender consulting within her professional field. The course was organized by the GenderWerkst\"atte. The Signal Processing and Speech Communication Lab (SPSC) of Graz University of Technology is seeking to fill research assistant positions in the area of signal processing for speech communication. Hochschulen zeigen was sie können! Der Monat Mai wird von neun steirischen HochschülerInnenschaften, einige aus Wien sowie die ÖH Salzburg, zum "Monat der freien Bildung" gemacht. Diese Initiative soll mit (Lehr)Veranstaltungen, Workshops und Vorträgen im Freien bzw. im öffentlichen Raum auf die Wichtigkeit und Bedeutung von Hochschulen und freie Bildung aufmerksam machen. 1 Stelle einer/eines Universitätsassistentin/Universitätsassistenten mit Doktorat für 6 Jahre, 20 Stunden/Woche, voraussichtlich ab 1. Juli 2016, am Institut für Signalverarbeitung und Sprachkommunikation. Im Rahmen eines Projektes suchen wir studentische ProjektmitarbeiterInnen für die Transkription von Call-Center Anrufen. Bei dieser Tätigkeit wird die gesprochene Sprache zuerst in Sätze unterteilt und danach in normaler Orthographie niedergeschrieben. Besondere Merkmale der Sprache, die für die automatische Verarbeitung der Sprache mit Spracherkennungsprogrammen relevant sind, werden gesondert gekennzeichnet. Verwendet wird die open-source Software Praat (für Linux, Mac und Windows). The SPSC has a job opening for a student project assistant to be filled as soon as possible (beginning ASAP until the end of 2016). We are working on building a speech recognizer for Austrian German Natural Speech with KALDI  as the recognition engine. The main tasks will be to train acoustic and language models using different sources of speech data. We are proud to announce that former lab member Paul Meissner received the Josef Krainer award 2016 for his PhD thesis "Multipath-Assisted Indoor Positioning". The award ceremony took place on March 10, 2016. Klaus, Paul and Erik have published a journal paper entitled "High-Accurarcy Localization for Assisted Living - 5G Systems will turn Multipath Channels from Foe to Friend" in the IEEE Signal Processing Magazine. Here, you can find the paper. Chamber, 42th Annual Conference for Acoustics, DAGA, Aachen, Germany, 2016. The article is about room acoustics and our expert Jamilla Balint contributed with established knowledge. Have a look at the attached file. Gernot Kubin receives "Nikola Tesla-Medaille"
We want to congratulate Professor Gernot Kubin who receives the "Nikola Tesla-Medaille". This price is a tribute to people who were able to successfully patent the scientific achievements. Paul Meissner receives "VDI Preis 2015"
We are proud to announce that our lab member Paul Meissner has received the "VDI Preis 2015" for his Ph.D. Thesis "Multipath-Assisted Indoor Positioning". The award was handed over in an award ceremony that took place in Munich on Oct. 29, 2015. VDI is the Association of German Engineers (Verein Deutscher Ingenieure). INTERSPEECH 2015 Tutorial Session "Phase Estimation From Theory to Practice"
Read "Harmonic Phase Estimation in Single-Channel Speech Enhancement Using Phase Decomposition and SNR Information"
Read "Phase Estimation in Single-Channel Speech Enhancement: Limits-Potential" in IEEE/ACM Transactions on Audio, Speech, and Language Processing! Pejman Mowlaee and Josef Kulmer have puplished their paper "Phase EStimation in Single-Channel Speech Enhancement: Limits-Potential" in "
The Signal Processing and Speech Communication Lab (SPSC) of Graz University of Technology is seeking to fill a PhD position in the area of wireless communications and indoor positioning. The Ph.D. research will be embedded in the projects REFLEX - Real-time Localization for Flexible Production Environments and MINT - Multipath-Assisted Indoor Navigation and Tracking. Holger Fröning from Heidelberg University will give a guest lecture on GPU Computing. This course starts on Monday, March 9 at 14:00. If you are interested please register at TUGonline. The research project Multipath-assisted Indoor Navigation and Tracking (MINT) was recently featured in Austrian news. Media like Standard online, Kronen Zeitung, Tiroler Tageszeitung, and Wiener Zeitung reported about the project. We proudly present a guest lecture given by Dr. Rahim Saeidi from Aalto University, Finland. Read "Phase Estimation in Single Channel Speech Enhancement Using Phase Decomposition" in IEEE Signal Processing Letters! Pejman Mowlaee, Rahim Saeidi and Yannis Stylianou have proposed special issue entiteld "Phase-Aware Signal Processing in Speech Communication" to EURASIP Speech Communication. The project 'CAPA', for which we will be doing recordings on the south pole was mentioned in the national newspaper 'Die Presse'. Read the article online at diepresse.com. BioTechMed-Graz is a cooperative initiative between the Univeristy of Graz, the Medical University of Graz and the Graz University of Technology at the interface of basic biomedical research, technological developments and medical applications with the goal of conducting joint health research. The 15th Annual Conference of the International Speech Communication Association was held in Singapore from Sept 14-18, 2014. This is the largest worldwide scientific conference in the area of Speech Communication. Im Rahmen eines FWF Projektes suchen wir studentische ProjektmitarbeiterInnen für die Korrektur eines Aussprachelexikons. Pejman Mowlaee, Rahim Saeidi and Yannis Stylianou have proposed special session entiteld "Phase Importance in Speech Processing Applications" to INTERSPEECH 2014 in Singapore. The SPSC has a job opening for a student project assistant to be filled as soon as possible (beginning of March for a period of 6 month). In the framework EU Project DIRHA, we build a voice controlled home automation system. We are in the process of setting up a real-time demonstrator that allows us to control lights, blinds and heating of our kitchen and meeting room by means of a man-machine voice dialog. For this and other tasks within the project we are looking for support. This weekend a geocache has been published which brings the topic of adaptive linear systems to a broader audience. Being a mystery cache, the player first has to determine the coordinates by solving a simply system identification problem and answering a few historical questions. And it is not too hard to solve: Within two days, seven players already logged their visits! Will you too? Read "Influence of Doppler Bin Width on GPS Acquisition Probabilities" in the IEEE Transactions on Aerospace and Electronic Systems! SPSC lab member Bernhard Geiger and former SPSC lab member Christian Vogel (FTW) have published their paper "Influence of Doppler Bin Width on GPS Acquisition Probabilities" in the October 2013 issue of the IEEE Transactions on Aerospace and Electronic Systems. If you are interested, access the paper at IEEE (login required) or on arXiv (open access)! Read "Iterative Closed-Loop Phase-Aware Single-Channel Speech Enhancement" in IEEE Signal Processing Letters! Read "Efficiency Optimization for Burst-Mode Multilevel Radio Frequency Transmitters" in the IEEE Transactions on Circuits and Systems I: Regular Papers! SPSC lab member won the Best Student Contribution Award at the "IEEE Forum on Signal Processing for Radio Frequency Systems 2013"
Andreas Pedroß won the Best Student Contribution Award with his presentation entitled "Modeling and Identification of Nonideal Ultra‐Wideband Multiplication Devices" at the third "IEEE Forum on Signal Processing for Radio Frequency Systems 2013" which was held at Johannes Kelper University Linz on June 18, 2013. Im Rahmen eines FWF Projektes suchen wir studentische ProjektmitarbeiterInnen für die Transkription von österreichischen Dialogen. Bei dieser Tätigkeit wird die gesprochene Sprache zuerst in Sätze unterteilt und danach in normaler Orthographie niedergeschrieben. Besondere Merkmale der Sprache, die für die automatische Verarbeitung der Sprache mit Spracherkennungsprogrammen relevant sind, werden gesondert gekennzeichnet. Verwendet wird die open-source Software Praat (für Linux, Mac und Windows; die notwendigen Funktionen sind schnell erlernbar). Thomas Buchgraber won the Best Student Paper Award at the IEEE International Workshop on Machine Learning for Signal Processing 2012 with the paper "Distributed Variational Sparse Bayesian Learning for Sensor Networks," co-authored by Dmitriy Shutin. Congratulations! The certificate can be found here. Forschungszentrum Telekommunikation Wien (FTW) is a dynamic company with an international atmosphere that carries out application-oriented research in telecommunications. Currently FTW is hiring for its branch in Graz the position of a Researcher for Signal Processing Algorithms in Transceiver (f/m) - PhD position. For further details on the position please contact Dr. Christian Vogel. The Signal Processing and Speech Communication Laboratory at Graz University of Technology (TU Graz) in Graz, Austria, has an opening for a Senior Research and Teaching Associate starting August 1st, 2012. SPSC lab member won the Student Contribution Award at the second IEEE Forum on "Signal Processing for Radio Frequency Systems"
Shuli Chi won the Student Contribution Award with the paper "Coding for Digital PWM effeciency based RF transmitter" at the second IEEE Forum on "Signal Processing for Radio Frequency Systems" that was held at Tech Gate Vienna on May 22, 2012. The research project Speaking Aid for Laryngectomized People has been presented in an article in the 'Science MONAT'. Read "Comparison Between Ratio Detection and Threshold Comparison for GNSS Acquisition" in IEEE Transactions on Aerospace and Electronic Systems! Bernhard Geiger, Michael Soudan and Christian Vogel have puplished their paper "Comparison Between Ratio Detection and Threshold Comparison for GNSS Acquisition" in the April 2012 issue of "IEEE Transactions on Aerospace and Electronic Systems"! Read "Wideband Characterization of Backscatter Channels: Derivations and Theoretical Background" in IEEE Transactions on Antennas and Propagation! Daniel Arnitz and Klaus Witrisal have puplished their paper "Wideband Characterization of Backscatter Channels: Derivations and Theoretical Background" in the Jannuary 2012 issue of " IEEE Transactions on Antennas and Propagation"! Read "Maximum Margin Bayesian Network Classifiers" in IEEE Transactions on Pattern Analysis and Machine Intelligence! Franz Pernkopf, Michael Wohlmayer and Sebastian Tschiaschek have puplished their paper "Maximum Margin Bayesian Network Classifiers" in the actual issue of "IEEE Transactions on Pattern Analysis and Machine Intelligence"! The former lab member Daniel Arnitz is Technical Program Chair at the IEEE RFID 2012. The IEEE RFID 2012 is the leading conference on RFID systems and comprises high-quality research presentations representing the state of the art in RFID research and development. The conference is being held on April 3-5 2012 in Orlando, Florida. The Signal Processing and Speech Communication Laboratory at Graz University of Technology (TU Graz) in Graz, Austria, has an immediate opening for 1 Postdoctoral Researcher and 2 PhD Students in Speech Communication. SPSC Lab Member received "Award of Excellence 2011"
SPSC Lab Member Daniel Arnitz received the "Award of Excellence 2011" donated by the Federal Ministry of Science and Research. This prize is a tribute to excellent achievements in science. Dr. Arnitz was honored for his PhD thesis on "Tag Localization in Passive UHF RFID". For further information on the award see here. The Signal Processing and Speech Communication Lab (SPSC) of Graz University of Technology is a research and education center in (nonlinear) signal processing, computational intelligence, as well as circuits & systems modeling and design. It covers applications in wireless communications, speech/audio communication, and telecommunications. SPSC Lab Member Michael Soudan was ranked third for the Best Student Paper Award at the 20th European Conference on Circuit Theory and Design, Linköping, Sweden. He presented his work on "Low Complexity Least-Squares Filter Design for the Correction of Linear Time-varying Systems". DRAGON honoured as "Austrian Champion in European Research"
The DRAGON project, a European project with participation of SPSC, was selected as successful project by the FFG and honoured as one of the "Austrian Champions in European Research". Please find more on it here (in German). 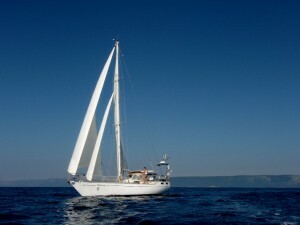 more information on this circumnavigation, visit www.Pitufa.at. The SPSC Lab wishes Christian, Birgit, and Leeloo the very very best! SPSC Lab Member Daniel Arnitz won the Best Student Contribution Award at the 6th UWB Forum on Sensing and Communications on May 5 2011. He presented his work on "Tag Localization in Passive UHF RFID". The award committee was formed by Prof. Nikitin (University of Washington, Intermec Technologies, USA), Prof. Kolumban (Pazmany Peter Catholic University, Hungary), Prof.
SPSC Lab Member Daniel Arnitz held the Workshop on "Localization in UHF RFID" at the IEEE RFID 2011 conference in Orlando, Florida. This workshop was organized by Daniel Arnitz and Klaus Witrisal, who are SPSC Lab members, and by Pavel Nikitin, who is Principal at Intermec Technologies. For further information, please have a look at the Workshop Webpage. SPSC Lab Almunus Heinz Köppl, Assistant Professor in Computational Systems Biology at the Automatic Control Lab of ETH Zürich, holds this term a course on "Formal Methods for Systems and Synthetic Biology". For further information see the course webpage or TUG online. SPSC Lab News as RSS-Feed! SPSC Lab News are now also available as RSS-Feed! The new refurbished website of SPSC Lab is available online since 28.02.2011 - give us your feedback! Franz Pernkopf received the "Förderpreis für Wissenschaft und Forschung des Landes Steiermark 2010"
SPSC Lab Professor Franz Pernkopf received the "Förderpreis für Wissenschaft und Forschung des Landes Steiermark 2010". This price, handed over by Mag.a Kristina Edlinger-Ploder, member of the Styrian government, is a tribute to excellent achievements in science. Dr. Pernkopf was honored for his work on „Graphical Models: Discriminative Learning, Inference, and Applications"